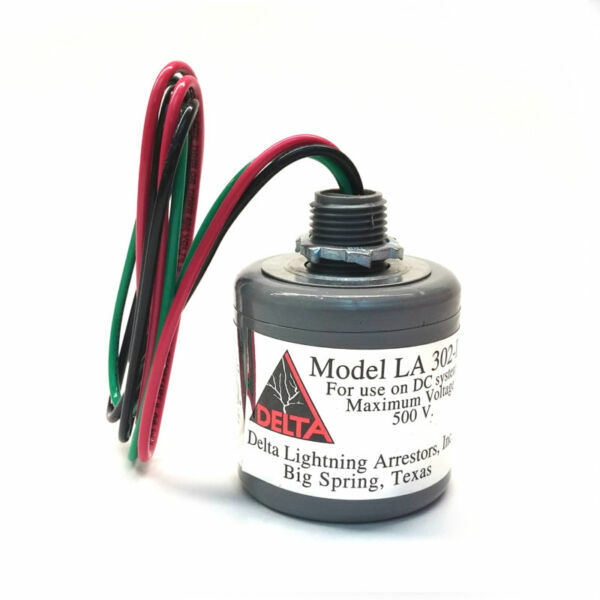 Delta CA603R - Solacity Inc.
Surge Capacitors pick up where lightning arrestors leave off and protect you against the smaller surges, which occur every day. Varying levels of current occurring when appliances turn on and off, or when power to a local grid is lost or regained brings on these surges. Over time, without a surge capacitor, the constant wear-and-tear of these surges will permanently damage delicate electrical components. While surge capacitors are fully capable of guarding against the smaller fluctuations in current and voltage, they are unable to provide protection against large voltage spikes, which is where surge arrestors are needed. 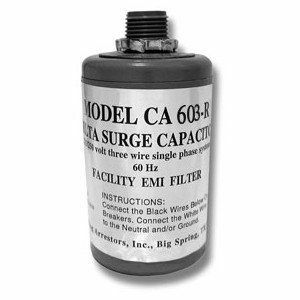 The Delta CA603R is a 3-phase 4-wire surge capacitor for use up to 600V AC, for use with 120V AC single-phase, 240V AC split-phase, 3-phase 208V or 480V.